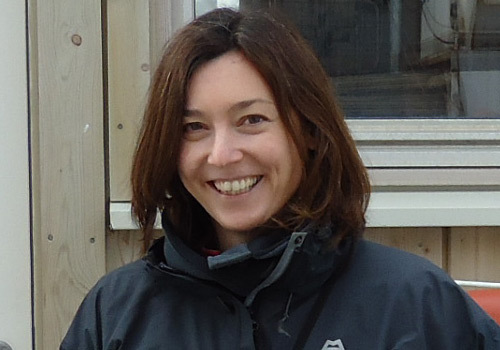 Rachael is Professor of Geochemistry within the department of Ocean and Earth Science at the University of Southampton. She obtained her PhD in 1996 from the University of Cambridge, and subsequently held a NERC/BRIDGE Postdoctoral Research Fellowship at the University of Bristol. She was appointed Lecturer in Oceanography at the Open University in 2000, and moved to the National Oceanography Centre Southampton in 2008 to take up the role of Principal Geochemist. She joined the University of Southampton in 2013. Rachael has an international reputation for the development and application of chemical and isotopic techniques for understanding of earth and planetary processes that operate both now and in the past. She has pioneered the use of lithium isotopes as tracers of silicate weathering processes, combining this with studies of radiogenic isotope systems to explore the links between weathering, ocean chemistry and climate change. Rachael has undertaken extensive fieldwork studies of weathering processes in the Himalaya, Iceland, Greenland and Costa Rica, and has also participated in many oceanographic research expeditions, from Svalbard to the Scotia Sea. Together with Dr Chris Pearce, Rachael is leading LC3M investigations into the effects of basalt fertilization on weathering rates and CO2 drawdown in agroecosystems in the US Midwest and Malaysian Borneo. Weathering rates will be quantified through sampling and extensive geochemical and isotopic analyses of weathering products (soils, drainage waters, rivers) and calculated CO2 uptake will be compared to direct field measurements.